A whole 50 carats of the gorgeous February birthstone at its spectacular best. 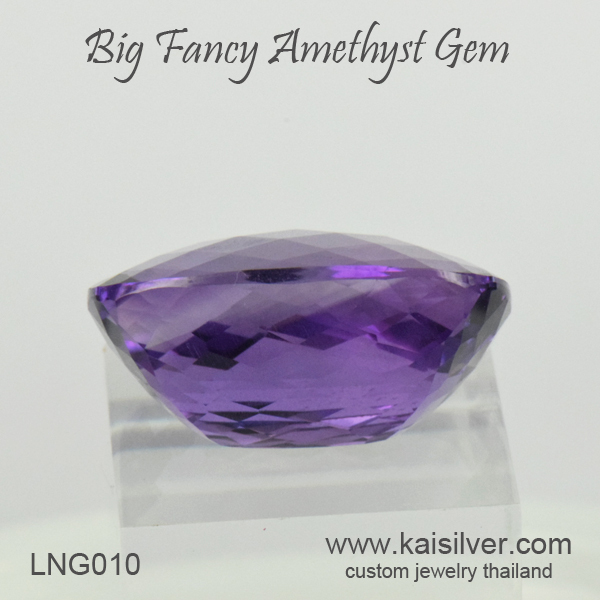 Masterly cut by a highly talented gem artists, this big amethyst gemstone boasts of an impressive size and measures 27x20mm with depth of 13mm. 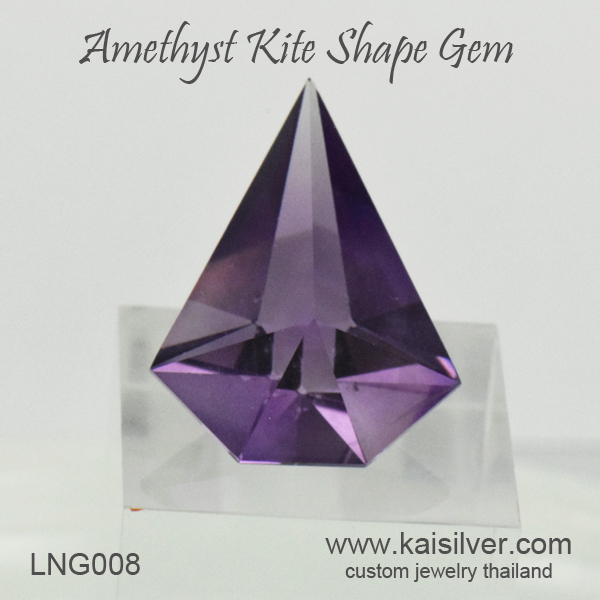 The cushion gem is lavished with dozens of critically placed and angled facets, this to optimize the sparkle of the amethyst in most light conditions. 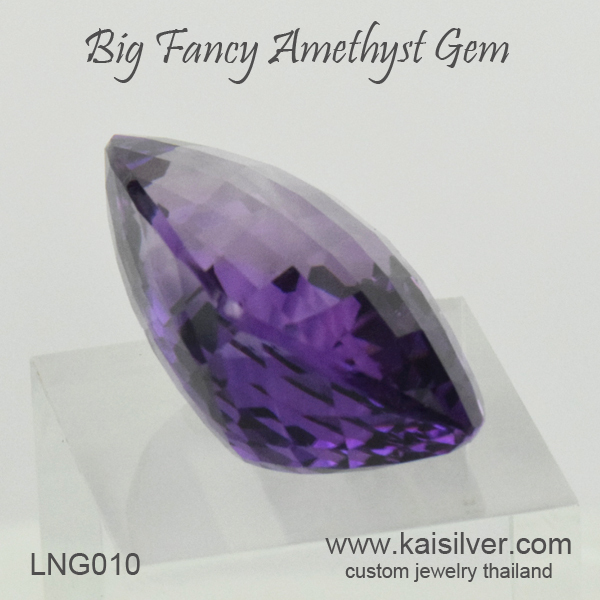 While many of you might have the confidence to carry this 50 carat big amethyst gem on your finger, it would also make a tremendous amethyst gemstone pendant. 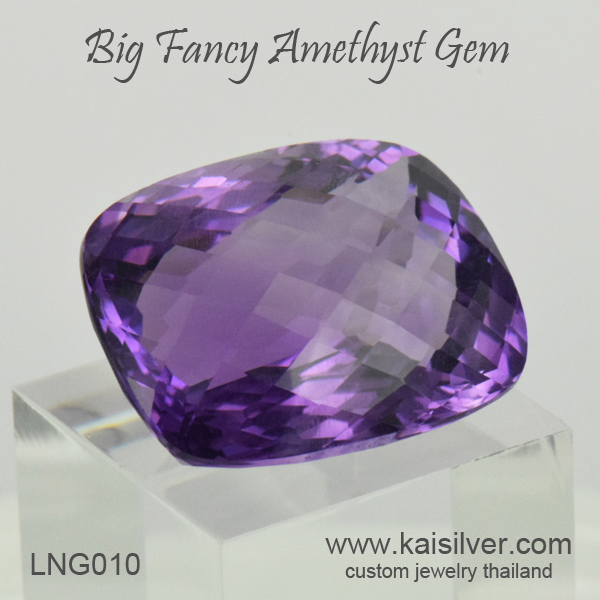 While amethyst itself is not a very rare gem, getting a big enough rough gem to yield a large amethyst with such an impressive quality is not something that is seen very often. 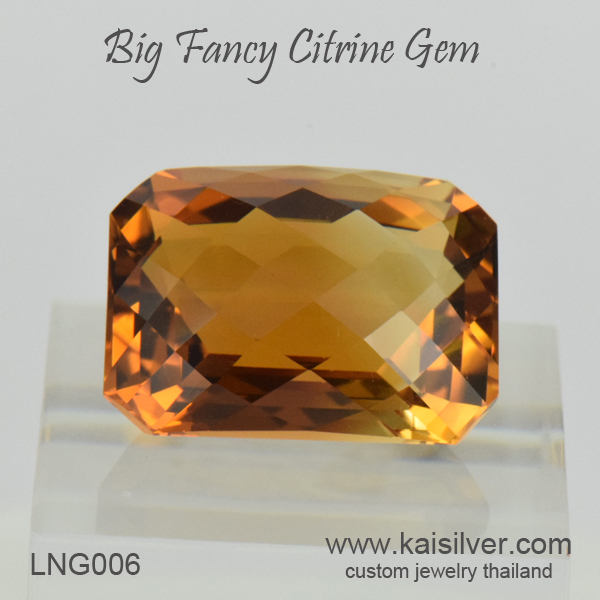 This along with the tremendous skills and expertise that it takes to craft such a gem, fully justifies the 1,200 U.S$ price tag that the gem wears. Kaisilver: Rightly regarded as the leading online source for high end custom made jewellery, we craft all types of jewels in gold or 925 sterling silver. By providing the same quality standards for gold and sterling silver jewelry, we place ourselves as one of the most preferred source for quality conscious jewelry lovers. We place no limitations on designs or gems and can work with your designs or ours. While we generally prefer to custom make complete jewels rather than sell loose gems, we do occasionally accept requests for fancy cut gems that sound challenging. Contact our team at sales@kaisilver.com with any questions that you might have related to gems and jewelry.